“They (Pakistan) are ready to open the corridor of Kartarpur Sahib on the 550 birth anniversary of Guru Nanak Ji. There can be no bigger happiness than this for the people of Punjab,” said Sidhu. Punjab Minister Navjot Singh Sidhu on Friday welcomed Pakistan’s decision to open the Kartarpur border with India for the access of Sikh pilgrims and urged the Centre to reciprocate this ‘noble gesture’ of the new government in the neighbouring country. The cricketer-turned-politician said Pakistan had travelled “miles” in return to “one step” taken by him (by his recent trip to Islamabad for new Prime Minister Imran Khan’s oath ceremony and demanding opening of Kartarpur corridor). Quoting a tweet by Pakistan’s information minister Fawad Chaudhry announcing Pakistan will soon open the Kartar Singh border for Sikh pilgrims and allow them to visit Gurdwara Darbar Sahib Kartarpur without having to obtain a visa and a system has been formed for the pilgrims entering Pakistan, Sidhu said the step is unprecedented and the corridor is yet to be opened since Partition in 1947. Gurdwara Kartarpur Sahib, a historic Sikh pilgrimage where Guru Nanak, the first of the ten Sikh Gurus, is said to have settled there after his travels, is about four kilometers from the Dera Baba Nanak shrine in Punjab’s Gurdaspur. The 550th birth anniversary of the first Sikh Guru, who breathed his last in Kartarpur, is being observed in November 2019. Sidhu had courted controversy during his visit to Pakistan when he hugged the Pakistan Army General Qamar Javed Bajwa. He termed the ‘hug’ as an “emotional” moment as General Bajwa had told him that they were making efforts to open the corridor from India’s Dera Baba Nanak to the Sikh shrine of Kartarpur Sahib. When asked about the reports that Bajwa in his speech at Pakistan’s 53rd Defence Day on Thursday vowed to avenge the blood flowing on the border, Sidhu refused to comment and said it was not the time for petty politics. 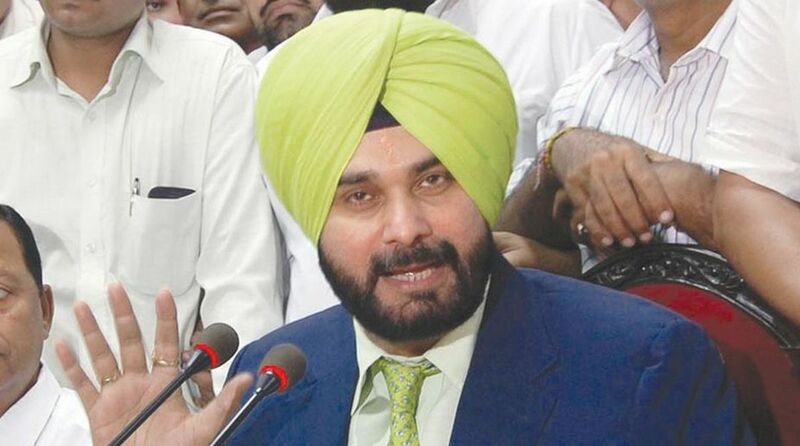 On the charge that he was interfering in India’s foreign policy by taking up the Kartarpur corridor issue directly with Pakistan and thanking its leadership for the latest decision, Sidhu said he went to Pakistan in the personal capacity after getting the due clearances and it was for the Indian government to take a decision in the matter. “I have made a humble request. If there’s peace, this bloodshed (on borders) will come to an end,” he said. Sidhu said he has no words to thank Pakistan PM Imran Khan for his decision to keep politics separate from religion. Sidhu expressed the hope that the decision will lessen the gap between the two countries. “I plead to the Prime Minister and the External Affairs Ministry that if they have made an effort, you should also make an effort,” he said, adding that this “is not the time for religion-based politics”. “This is the message from Pakistan to the whole world. Don’t think that anyone can oppose this noble gesture,” Sidhu said.